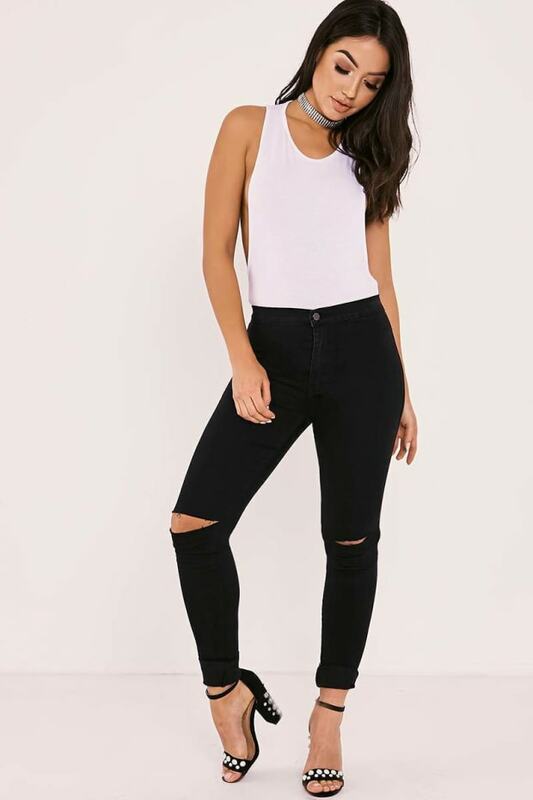 Spice up your black jeans collection with these dreamy pair! 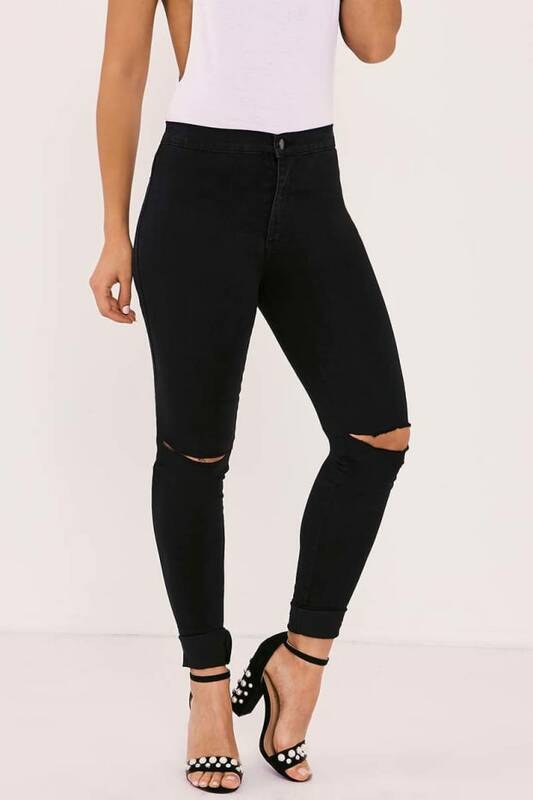 In a flattering super high waisted design featuring ripped knee and skinny leg, these will be your new styling faves! 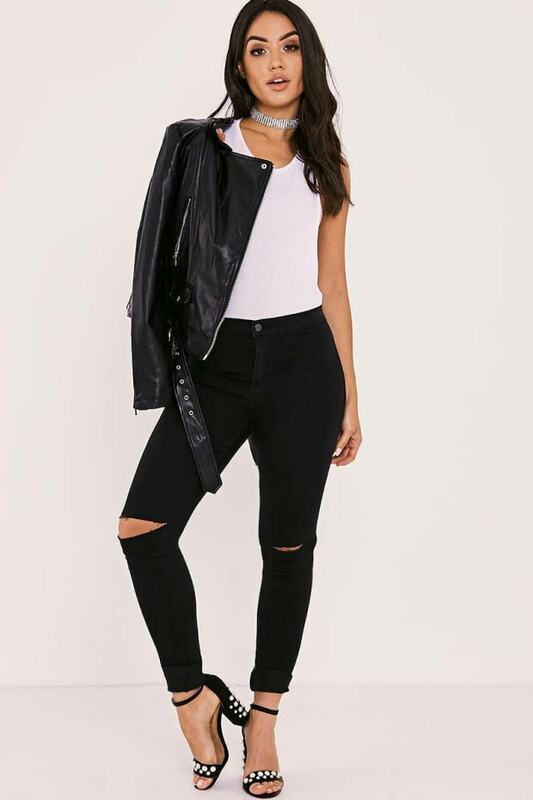 Amp it up with a bodysuit and heels and your ready to WOW!